Choose a package – 100, 500 or 1000 product imports. Once you have purchased the package, you will receive a notification email with your package code. To activate it, copy the code and go to DropshipMe => Activation. 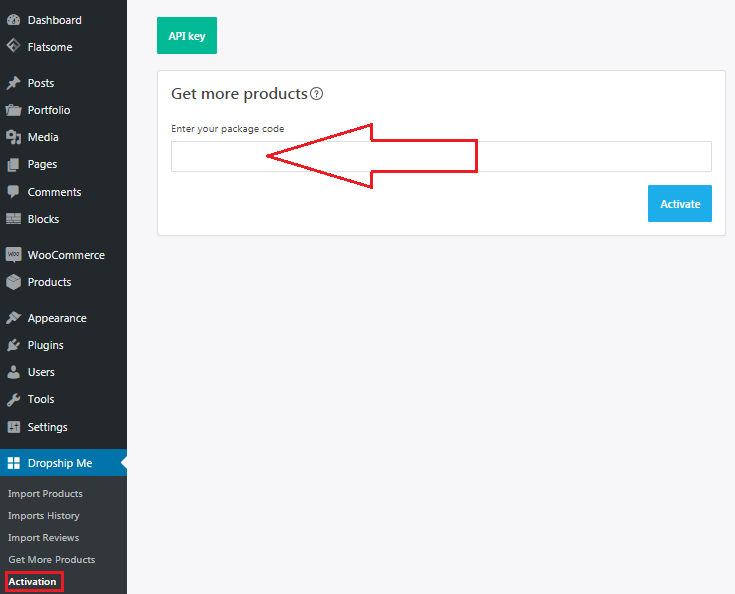 Paste the package code into the 'Get more products' field and click on Activate. Your products import balance will change.